A propulsive and ambitious thriller about a woman trying to rescue her twin sister from captivity in North Korea, and the North Korean citizens with whom she forms an unlikely alliance. Star of the North opens in 1988, when a Korean American teenager is kidnapped from a South Korean beach by North Korean operatives. Twenty-two years later, her brilliant twin sister, Jenna, is still searching for her, and ends up on the radar of the CIA. When evidence that her sister may still be alive in North Korea comes to light, Jenna will do anything possible to rescue her - including undertaking a daring mission into the heart of the regime. Her story is masterfully braided together with two other narrative threads. In one, a North Korean peasant woman finds a forbidden international aid balloon and uses the valuables inside to launch a dangerously lucrative black-market business. In the other, a high-ranking North Korean official discovers, to his horror, that he may be descended from a traitor, a fact that could mean his death if it is revealed. As the novel progresses, these narrative strands converge and connect in surprising ways, ultimately building to an explosive and unforgettable climax. The sea was calm the day Soo-Min disappeared. She was watching the boy make a fire out of driftwood. The tide was rumbling in, bringing towering clouds that were turning an ashy pink. She hadn't seen a single boat all day and the beach was deserted. They had the world to themselves. She pointed her camera and waited for him to turn his head. "Jae-hoon . . . ?" Later, the photograph she took would show a strong-limbed youth of nineteen with a shy smile. He was dark for a Korean and had a dusting of salt on his shoulders, like a pearl fisher. She handed him the camera and he took one of her. "I wasn't ready," she said, laughing. In this photograph she would be in the act of sweeping her long hair from her face. Her eyes were closed, her expression one of pure contentment. It's summertime. You're looking for an absorbing thriller while you flop at the beach. Bonus points if it's somehow tied to current events where a summit with "Little Rocket Man" has just migrated to the rearview mirror. You're in luck because Star of the North doesn't just have the advantage of being an engaging rollercoaster ride, it's also a story that's that much more relevant because it's set in a country that's got enough intrigue for miles: North Korea. (Reviewed by Poornima Apte). 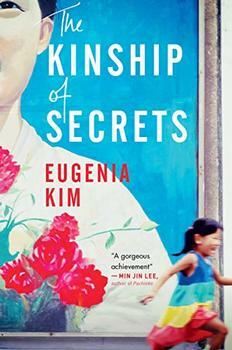 A sometimes-suspenseful but never gripping novel about North Korea circa 2010. Starred Review. John excels at drawing the everyday details of life in a closed society - the drug use of the lower classes, the paranoia and fear of those who have gained access to the upper ranks, the omnipotence of the Bowibu, the state security force. Those seeking a realistic, highly readable look at North Korea will be richly rewarded. Starred Review. Conceived on the author's 2012 trip to North Korea, this well-researched, fast-paced, and pertinent thriller will keep readers' attention from start to finish. Readers of all sorts - whether spy fiction fans, thriller aficionados, or book junkies looking for a fantastic read - will enjoy. Starred Review. The lives of these people collide in a harrowing thriller that exposes an amazingly corrupt regime that embraces savage brutality and nearly every kind of lucrative criminal enterprise. John concludes with a fascinating 10-page bibliographic essay supporting his claims, but Star of the North would be a superior thriller even if it was pure fiction. Extraordinary ... smart, sophisticated, suspenseful - and important. If you try one new thing this year, make it Star of the North. From the very first page of this riveting thriller, I knew that D.B. John was a talented writer, and that Star of the North wasn't like any other book I've read before... John portrays the hardships of North Korea and its people with painful accuracy while never losing sight of their humanity. This one is definitely a star. A superior thriller, deftly plotted and richly human, steeped in the intrigue, culture and family of a closed regime, both terrifying and upliftingly emotional. It delivers on all fronts. This one brims with marvelous characters and delivers heart-in-your throat action. Every page brims with reality, intensity, and passion, all unraveling at a perfect pace. Enjoy. As gripping as it is shocking, this is an adrenalin-rush of a thriller that is also a devastating portrayal of a brutal regime. I couldn't pull myself away. D.B. John delivers the timeliest thriller of 2018. An intricately constructed puzzle box of spies and tradecraft that plunges the reader on a cyanide-laced sprint through North Korea. The real star though is D.B. John's crackling prose, which breathes humanity and dignity into the most repressive nation on earth. The last hundred pages read like ten, I had to fight the urge to flip to the end. Gripping and timely story but also very informative about North Korea. Made me want to learn more. Star of the North is full of intriguing asides about the North Korean regime. The author, D. B. North, includes much of the background behind these nuggets as an appendix at the end of the novel. Below is an excerpt from it, and you can read the rest of it here. A rare glimpse into a secretive world, illuminating a fascinating chapter of North Korea's history that helps explain how it became the hermetically sealed, intensely stage-managed country it remains today.